Along with pubs, public artworks and historic monuments, many museums have been designated as Pokéstops by the game’s developer Niantic. This is not something that we asked for, or were even told about, but I am so glad that it has happened. For the unitiated, Pokéstops are real world locations that players need to physically go to collect (for free) the Pokéballs and other supplies they need to catch and train Pokémon on their phones (the locations are in the real world, the supplies are digital). They can also set lures at the Pokéstops to attract Pokémon to the location to be caught. The Pokéstops themselves don’t need to do anything to engage with the players – they are essentially just a geolocated point on a map. 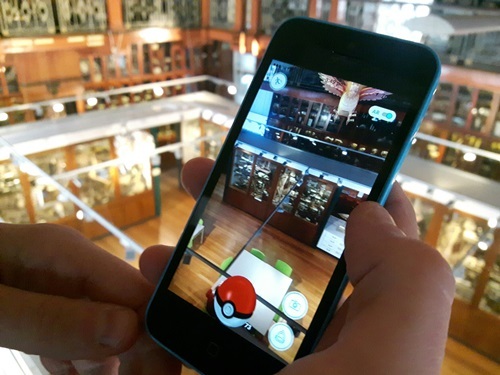 The Grant Museum is a Pokéstop, and we have definitely seen people playing Pokémon Go here. 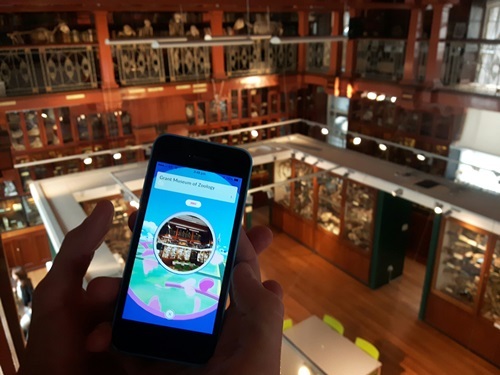 We don’t yet know for a fact that it’s attracting people who wouldn’t have otherwise come, but it’s a fair assumption that some passing players will pop in to play (though technically it’s possible to access the Museum’s Pokéstop from the street outside). At the very least, it flags up that the Museum exists to players nearby. It’s free advertising with a huge audience. Museums are typically late adopters – why is that? Traditionally, museums are often slow on the uptake to new digital developments (arguably we have only recently got to grips with websites, for example). It’s definitely not true to say museum folk are analogue luddites, but a lack of digital expertise is just one barrier to museums engaging fully with technological advances. Time is another – I’ve been told many times by colleagues elsewhere that they simply don’t have the time to commit to maintaining an active Instagram presence for their museums, for example. Technical support capacity can also be a major issue – when museums develop new apps, who is going to maintain them after launch? These first three barriers (time, expertise and upkeep) essentially equate to funding, but beyond that institutional approval can stand in the way of museums joining the latest advance. For example, in local authority museums where they are tied into local government, staffers can have their hands tied by rules relating to institutional communications. This can stop museums from being able to even Tweet on their own behalf. Because museums didn’t have to do anything to become a Pokéstops, none of these barriers apply. Our staff don’t need to know anything about map-based geolocating on smart devises. We don’t need to spend time doing anything (or even download the game) – we can be entirely passive. Niantic are doing all the technical support. And we didn’t need to give permission (which is great, because I really wonder how many museum governors or local authorities would have dismissed it our of hand). Of course, there have been issues with this passive incorporation of locations in the game. Some museums – such as the US Holocaust Memorial Museum (which has asked to be removed) – are not appropraite places for playing games like this. But on the whole, it would seem to be a good thing. The other reason I’m happy about our inclusion in the game is that – hopefully – engaging with catching made up species, which evolve (albeit in a somewhat different manner to natural species), might spark some interest in the real animals that inspired them (read the On the Origin of Pokémon Species post over on our Researchers in Museums blog for more on that). An avid insect collector, Pokémon’s creator Satoshi Tajiri originally conceived them in order to give city-living children a chance to collect creatures in the way he did as a child, and that’s a noble motivation. 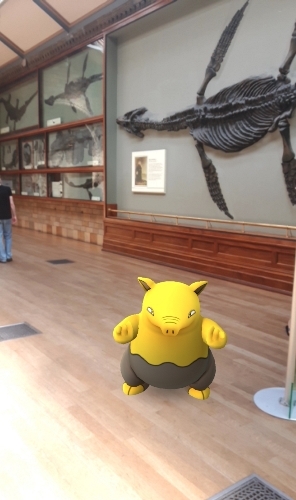 That said, there was a 2002 study that found that children over eight years old could recognise more species of Pokémon than they could common species of British wildlife, so maybe natural history museums need to do something to actively convert their visiting Pokémon Go players into real world zoologists. PS. To all those claiming that an interest in Pokémon is a waste of time, when people could become naturalists instead, just before sitting down to write this I popped into the field behind my house to catch some Pokémon, and found a red kite instead. So maybe Pokémon Go is getting people out into nature. It is really interesting how some (video) games have almost “sneaked in” cultural heritage elements in their game play through the years. I remember my first encounter with the Great Sphinx of Egypt while a playing Bomb Jack as a kid. Sure, I didn’t learn much about the Ancient Egypt while playing the game but I’ve got a notion and an image. Sometimes these can be enough to set a spark to look things further. A new challenge is here for museums. To be prepared to welcome and to turn into engaging visitors to all these Pokémon Go players that they have might reached their front step simply for receiving some free Pokéballs. 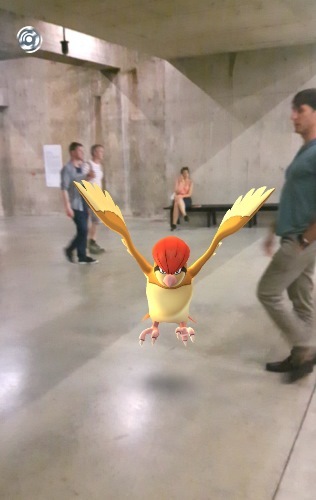 Pokemon Go is the gift for everyone, not only museum. Everybody is so crazy behind this game.